Traditional Hardcover Bookbinding and Repair. E & L Bindery is a traditional hardcover bindery offering a full line of custom bookbinding services. We specialize in serving the small run binding and book restoration needs of individuals, schools, companies & organizations. We pride ourselves in providing top-notch, high-quality bookbinding along with personalized service no matter the size of your order. E & L Bindery began as Erickson/Lundblad Bindery, providing hardcover bindery services to the Twin Cities & Nationwide for over 40 years. The current owner, Jeff Dahlin, has proudly continued the E & L tradition since 1988. 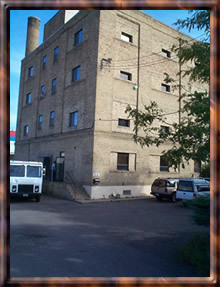 We are centrally located at 708 Vandalia Street in St. Paul, midway between the downtown areas just north of highway 94.
for your bookbinding or book restoration needs today!